Provider of unparalleled service and top-quality work on all tires and auto repairs. 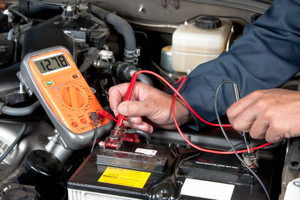 The well-qualified and highly experienced Country Town Tire and Auto Service Center staff are equipped to perform advanced mechanical repairs, such as electrical and electronic systems, starters, engine diagnostics and performance, exhaust systems, heating and air conditioning, lube and oil change. They are a member of the Better Business Bureau, so you will always be assured of quality workmanship. Country Town Tire and Auto Service Center, located in multiple locations throughout NC, provides tire and automotive repairs combined with excellent service. Get a free coupon booklet worth $250-$300 & a personal auto maintenance record! 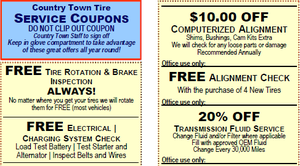 Free Coupon Booklet for Tires & Auto Services: $300 in Savings!